It was with a certain initial reluctance that Bill Shankly moved into football management for he was still convinced he had much to offer as a player. However, Preston still held his registration and refused to release it, thus preventing him from playing anywhere else. 35-year-old, qualified as a masseur, he took the Carlisle job in 1949 and went into his first managerial appointment determined to become the greatest football manager of all time. Carlisle were a struggling Third Division North side who found it hard to attract southern based players because of their geographic remoteness. Shankly immediately turned this disadvantage on it's head and turned Brunton Park into something of a fortress. He would tell his players how tired the opposition must be at having to travel up to such a remote corner of the country. He made a quick impression on the local population too, urging them to come and support the team and help them to carry the hopes of the region to the rest of the country. Shankly established his relationship with the fans in his own unique way: "I used to on the Tannoy at a quarter to three to speak to the people every other week before the game. Instead of putting something in the programme, I spoke to them, explaining if we'd changed the team, how it had played in the last game. Everything. The supporters loved it, they lapped it up." one year before he took his first managerial job at Carlisle. He dragged the club into a more professional outlook, providing a new strip for the first team, and got the board to purchase a large house which was converted into flats for new players coming into the club. In his first full season, 1949-50, Carlisle finished 9th, but had won over the people of the town with their brand of football. Season ticket sales for the start of the 1950-51 season were at an all time high. That season saw Carlisle buzz to the excitement of a visit from Arsenal in an FA Cup replay after they had secured an amazing 0-0 draw at Highbury. 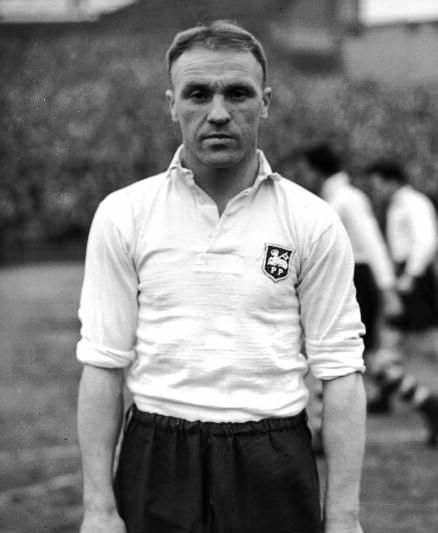 A final league placing of 3rd wasn't quite good enough for promotion and after a squabble with the board, who had reneged on a bonus promise should the team finish in the top three, Shankly resigned and took up an offer from Grimsby Town. "Forget the Beatles and all the rest. This is the real Liverpool sound. It's real singing, and it's what the Kop is all about."